Professor Linda J. Bilmes is Daniel Patrick Moynihan Senior Lecturer in Public Policy, and a leading expert in budgeting and public finance. Her research focuses on US budgeting and public administration, including defense and veterans' affairs, public lands and municipal finance. She is a full-time Harvard faculty member, teaching budgeting, cost accounting and public finance, and teaching workshops for newly-elected Mayors and Members of Congress. She also leads the Greater Boston Applied Field Lab to assist local communities in public finance and operations, using teams of student volunteers. Bilmes served as Assistant Secretary and Chief Financial Officer of the U.S. Department of Commerce under President Clinton. She currently serves as a Presidential appointee on the US Department of Interior National Park System Advisory Board. She serves on the Board of Directors of the Institute for Veterans and Military Families at Syracuse University and Economists for Peace and Security, well as on several private and non-profit boards of directors. She was a member of the prestigious "Second Century" Commission on the future of the US National Parks. Professor Bilmes has written extensively on war cost issues in books, book chapters and articles on the Iraq and Afghanistan conflicts, including the New York Times and international best-seller The Three Trillion Dollar War: The True Cost of the Iraq Conflict (co-authored with Joseph E. Stiglitz), which has been translated into 33 languages. She is also co-author of The People Factor: Strengthening America by Investing in Public Service (with W. Scott Gould, Deputy Secretary of the US Department of Veterans Affairs). Her book chapters (with Joseph E. Stiglitz) include “The long-term costs of conflict: The case of the Iraq War” in the Elgar Handbook on the Economics of Conflict (2011); and “Estimating the Costs of War: Methodological Issues, with Applications to Iraq and Afghanistan” in the Oxford Handbook of the Economics of Peace and Conflict (2012). Her research has been featured in The New York Times, Los Angeles Times, Washington Post, the Atlantic, Boston Globe, Financial Times, Harvard Business Review and Foreign Policy. Bilmes previously worked in London, Madrid and Moscow with the Boston Consulting Group. 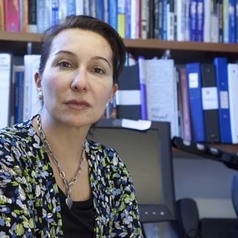 She is a member of the Council on Foreign Relations, a Fellow of the National Academy of Public Administration and an affiliate of the Mossavar-Rahmani Center for Business and Government, the Taubman Center for State and Local Government, the Belfer Center for Science and International Affairs, and the Rappaport Center for Greater Boston. She holds a BA and MBA from Harvard University and has also taught and studied at Oxford University. She is the daughter of a World War II veteran.